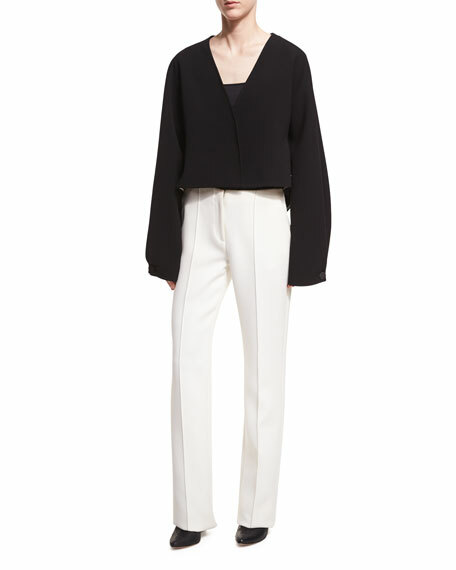 Diane von Furstenberg pants in bonded crepe with subtle stretch. Seam detail down center front and back. For in-store inquiries, use sku #2320770. 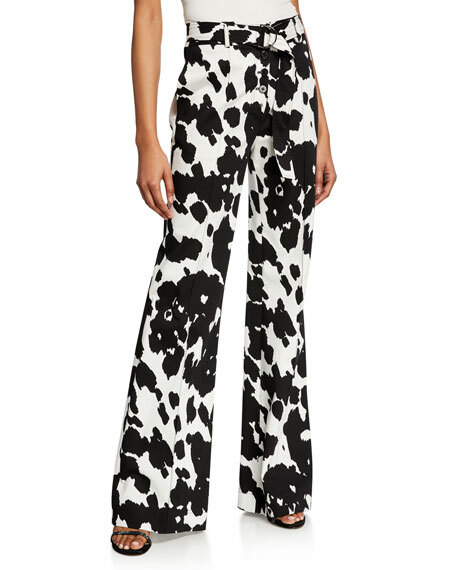 Diane von Furstenberg "Joan" pants in animal-print. High rise; tonal D-ring belt. Side pockets; back welt pockets. 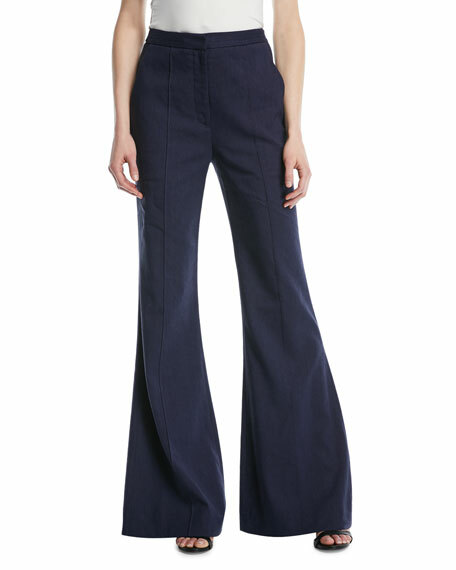 Relaxed fit through boot-cut legs. Full length. Exposed button fly. Cotton/spandex. Imported. 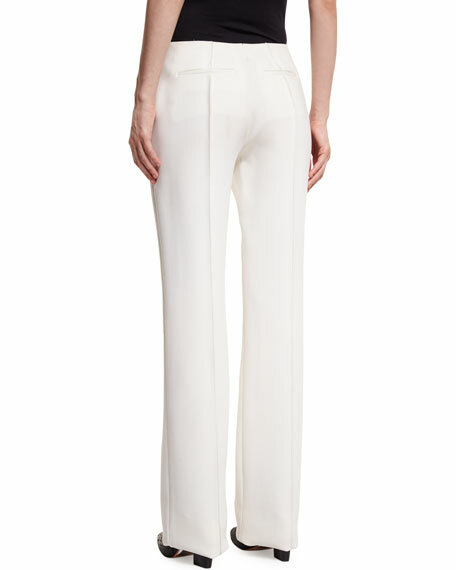 Diane von Furstenberg "Lulu" silk pants. 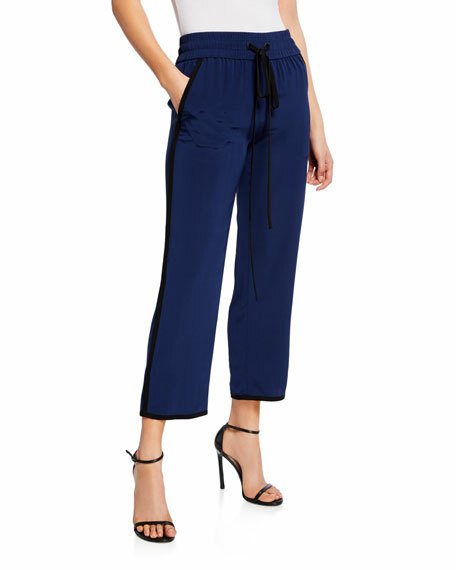 Mid rise; elasticized drawstring waistband. Side slash pockets. Relaxed straight legs. Cropped above ankles. Pull-on style. Silk. Imported. 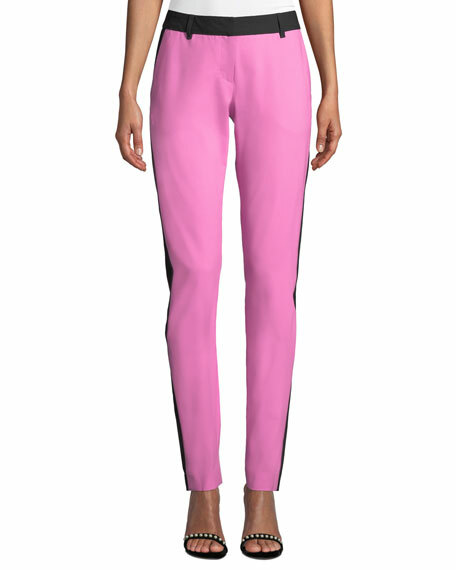 Diane von Furstenberg "Robbie" pants with tuxedo stripes. Mid-rise; belt loops. Side pockets. Back button welt pockets. Fitted through straight legs. Ankle length. Hook/zip fly. Wool/spandex. Imported.